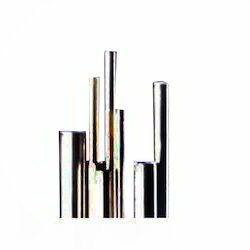 We are the leading manufacturer and supplier of Hastelloy C22 Tubes. 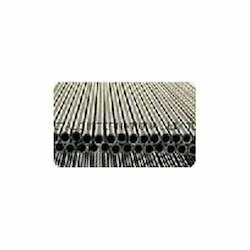 These tubes are manufactured by high quality of raw materials which are procured by trusted vendors. Our tubes can be customized according to the need of our customers. The ample range of product that we supply includes Hastelloy C22 Tubes, hastelloy c22 welded tubes and hastelloy c22 seamless tubes. Hatelloy C22 Seamless Tubes offered is developed using nickel-chromium-molybdenum-tungsten alloy that offers the tubes better resistance against corrosion and variety of industrial chemicals. Further, these pipes also exhibit superior weld-ability and can be offered in seamless finish with grade options of Hastelloy C 22 (UNS No. N06022), Hastelloy C 2000 ASTM : B622, B619, B622, B626, Hastelloy C-4 (UNS No. N06455), C-276 (UNS No. N10276). 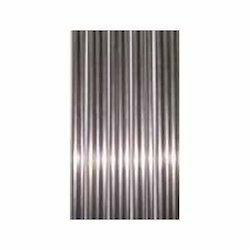 With end finish options of Hydraulic Tube, Horn Tube, Capillary Tube, Boiler Tube, Precision Tube, IBR Tubes, these are available in range of 1 mm OD up to 254 mm OD in 0.2 TO 20 mm thickness. Our teams of experienced members are engaged in manufacturing and supplying the standard quality of hastelloy C22 CWD tubes. These tubes are so designed that they can easily meet the requirements of our clients. We manufacture tubes that are polished, coated with expo and fbe, bending buffing and they can expand. Our products can have various applications in houses, piping areas, industries and factories. Hastelloy C22 welded tubes are manufactured by us and we use top quality of raw material to manufacture our products. Our products are highly demanded for our quality, resistance against rust, precise dimensions, durability and specific design. These tubes are coated with high quality of alloy that prevents them from rusting. Looking for Hastelloy C22 Tubes ?